Mark Selby’s hopes of winning the XingPai China Open for a third consecutive year were crushed at the first hurdle as he lost 6-3 to world number 92 Craig Steadman. Selby won this event in Beijing in 2015, 2017 and 2018 but this time he faces an early flight back to the UK. 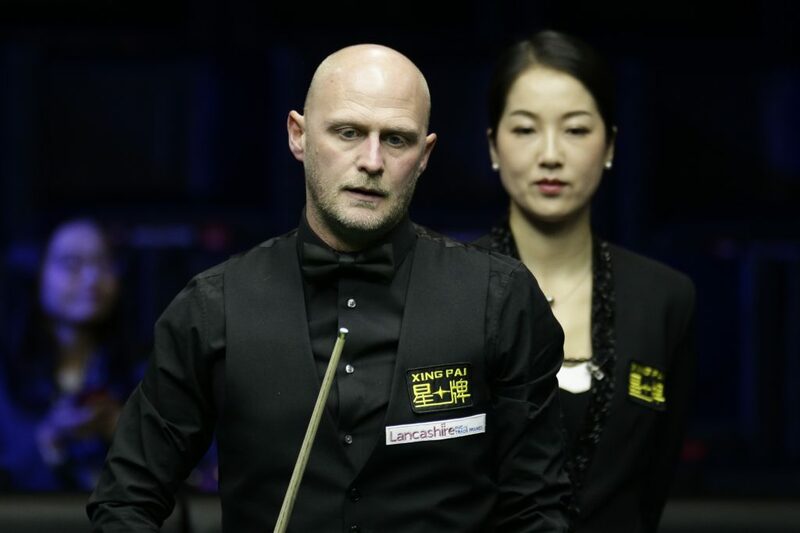 It has been a patchy season for the Leicester cueman, his only real highlight coming at the China Championship in September when he beat John Higgins in the final. Selby will head to the Crucible later this month lacking sharpness, on a streak of four consecutive defeats going back to February’s Welsh Open. Today’s result also means that Ronnie O’Sullivan will be world number one going into the World Championship. Beating Selby in this lucrative event, which has total prize money of £1 million, is perhaps the best result of 36-year-old Steadman’s career so far. He goes through to the last 64 to face Dominic Dale on Tuesday. Breaks of 64 and 99 helped Selby take a 3-2 lead but he didn’t score a point in the next three frames as Lancashire’s Steadman fired runs of 77, 108 and 86 to go 5-3 up. Frame nine lasted 53 minutes and came down to the colours, with Selby making a crucial error when he attempted to pot the yellow but sent it flying off the table. Steadman eventually potted the brown to seal the result. “Craig was unbelievable, he played as well as a top 16 player,” said Selby. “From 3-2 I didn’t do much wrong. Sometimes you just have to say ‘well played’ to your opponent. It seems to be going that way for me at the moment, I am playing well and still losing. 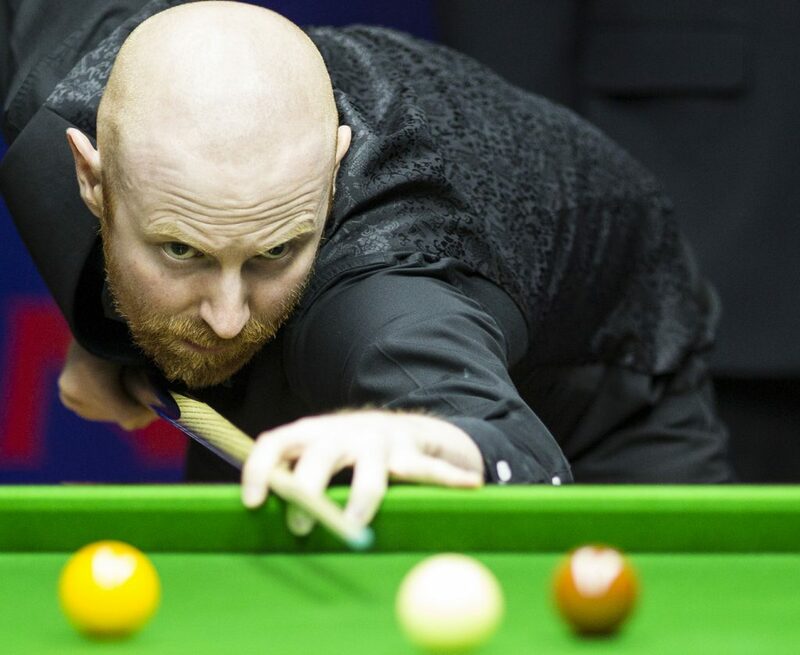 Anthony McGill beat Nigel Bond 6-4 despite being docked the first frame for arriving late at the venue. The match was due to start at 2.30pm but Glasgow’s McGill was still asleep in his hotel room until two minutes earlier. If he had arrived at the venue later than 2.45pm he would have been docked the second frame as well, but made it in time and compiled a break of 77 to level at 1-1. He then fell 3-1 behind but hit back to win five of the next six frames with top breaks of 133, 100, 86 and 61. “I have been sleeping a lot since I got here, so I didn’t bother setting an alarm,” explained 28-year-old McGill. “I woke up during the night, practised for two hours then went back to bed at 7am. The next thing I knew, my phone was vibrating. It was 2.28pm, it was (tournament director) Martin Clark ringing me. I got dressed in 60 seconds and ran down to the hotel foyer. I didn’t even have a shower or brush my teeth. My shoelaces were still untied, it was like a movie scene. “I managed to get a car to the venue quickly so I got ready for the match in the car. I was thinking I would be quite happy to be 3-0 or 4-0 down as long as I got to play. When I got to the venue and found I would only be 1-0 down, I couldn’t believe it. China’s top player Ding Junhui saw off Zhang Jiankang 6-1 with a top break of 139. World Champion Mark Williams had a tougher test against Harvey Chandler but came through 6-4 with top runs of 106, 62, 101, 102 and 72. Stuart Bingham was in superb form in a 6-0 win over Elliot Slessor, firing breaks of 92, 140, 101 and 104. Neil Robertson top scored with 119 and 138 in a 6-2 win over Kishan Hirani. Ali Carter came from 4-2 and 5-4 down to beat Kurt Maflin 6-5, making a 73 in the decider. Promising Chinese wild card Chang Bingyu beat Mark Davis 6-4. David Gilbert beat Matthew Selt 6-4 with top breaks of 108 and 100, a result which boosts Gilbert’s hopes of being a seeded top 16 player at the World Championship for the first time. His nearest challenger Ryan Day must reach at least the quarter-finals this week to overtake him. To keep an eye on that race click here.